It took no more than 3 days after Perth’s cold weather kicked in for one of my housemates to come down ill. The Plauge Man-flu is as merciless as it is swift and incapacitating. The sniffles and aches, headaches and sneezing; it’s truly a wonder that health organisations don’t take it more seriously. 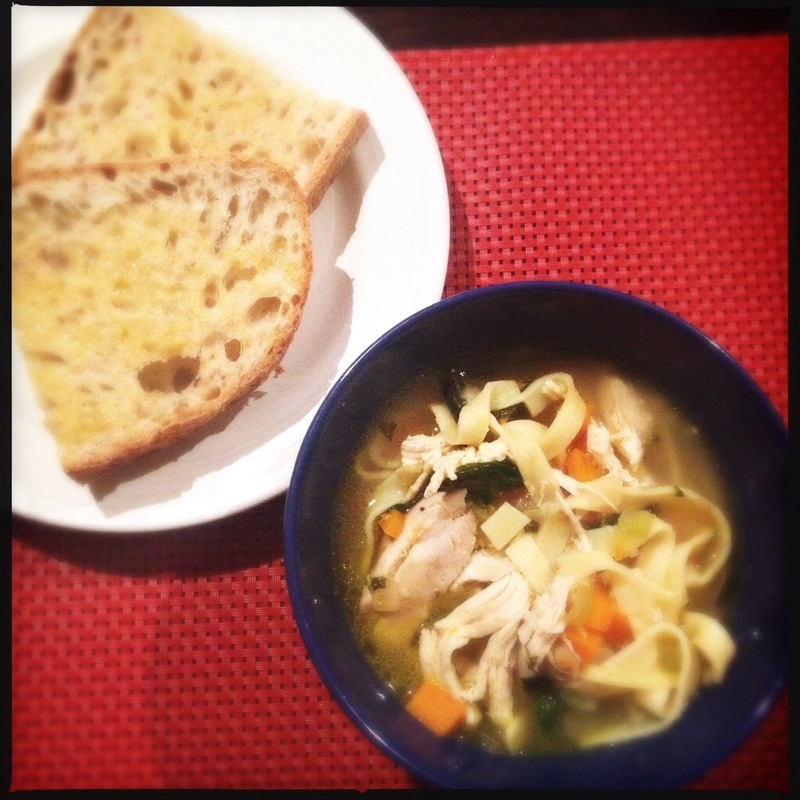 There is, of course, only one known cure for man-flu – the magic of chicken soup. Now, before you tell me that’s an old wives’ tale, science has my back (thanks, science!) on this one. With its anti-inflammatory properties and congestion clearing super-powers, getting a big bowl of this into your belly is probably the best life choice you can make when curled up on the couch with a box of Kleenex and 6 seasons of Sons of Anarchy. I loved this recipe because it’s packed with vegetables for nutrition, pasta to fill you up, and plenty of juicy chicken, which is everyone’s favourite part. The stock base for the soup can even be made in advance and frozen if you’re a little short on time. So, as soon as man-flu kicked in, a pot of this went on the stove, because there’s nothing in this world that is more comforting than this soup. Promise. Roughly chop 2 carrots and celery sticks, then add to a large pot over medium heat with the chicken carcass, 2 diced onions, bay leaves, peppercorns and a big pinch of salt. Cover the chicken completely with water – roughly 1.5 litres. Bring to the boil, then reduce the heat and simmer for an hour. While the stock simmers, dice the remaining carrots and celery into even pieces. In another large saucepan, melt the butter over low heat; add the garlic, remaining onion and parsley and gently cook until soft but not brown. Add the carrots and celery and cook for another 5 minutes. When the stock is done, remove the chicken and shred the meat, setting it aside. Discard the carcass. Strain the stock, reserving the liquid and discarding the vegetables. Add the stock to your second pot. Bring the soup base to a boil, then simmer for 20 minutes. Add the egg pasta, baby spinach and shredded chicken and simmer for a further couple of minutes until the pasta is cooked. Remove from heat, add the lemon juice and season with salt and pepper. Serve with a really good piece of sourdough slathered in butter. Seriously. So, in terms of the chicken you use, you can go two ways. 1) If you use a whole, raw chicken, you can break it down into parts following a video like this one. Breaking it down makes the chicken easier to handle once it’s cooked. 2) If raw chicken freaks you out, you can simply use a roasted chicken from the supermarket. Pull roughly 2/3 of the meat off the bones, shred it, then leave it in the fridge until a few minutes before serving – stir it though and simmer for a couple of minutes to warm it up. 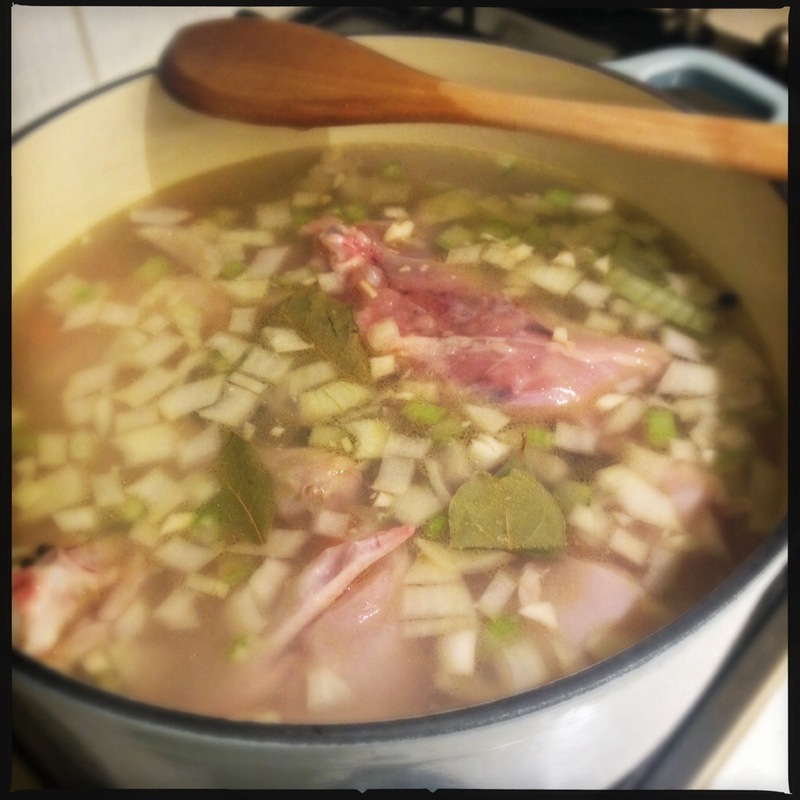 Add the carcass and remaining meat to make the stock in the first step. If I give you a muffin, will you be my muffin? I have one of those embarrassing-now confessions. Growing up, when the lunch boxes were opened up, I was always really jealous of the kids that had mini pickets of chips, Tim Tams. The kids that ordered their lunches weekly. My lunch box contained home made ANZAC biscuits, cakes and muffins, sandwiches that contained different fillings every day. Looking back now, clearly I was an idiot. Who doesn’t love polony and tomato sauce sandwiches? 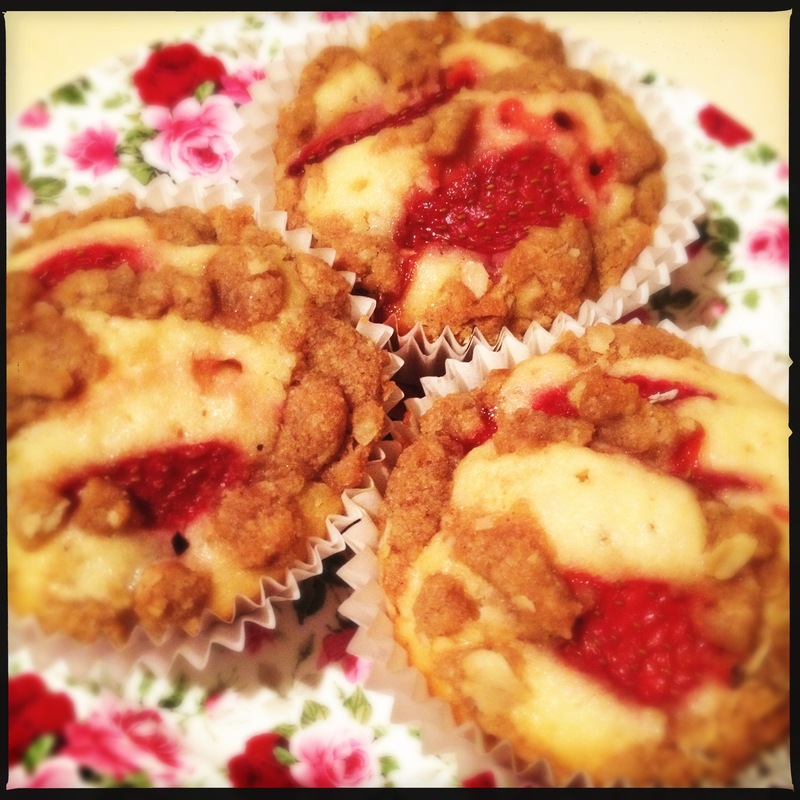 No cafe in Perth will make them for me, which is ridiculous because they are delicious. Mum would regularly have days where she’d bake tray after tray of lunch box delights. I’d come home just in time to score the last one, fresh out of the oven. The rest were rolled up in glad wrap, and carted out to the freezer by the armful. If one or two happened to fall into my pockets for eating later… Well, that was just good luck. 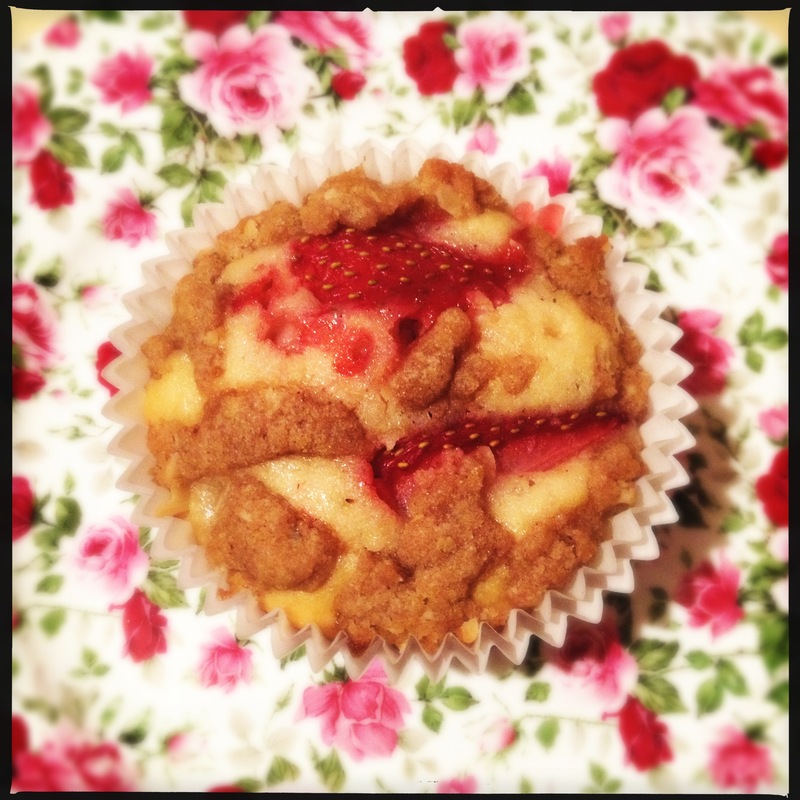 So, with a Saturday in the kitchen on the cards, and a tub of fresh strawberries purchased; it was only going to end in muffins. And yes, they freeze beautifully. 1) Heat the oven to 190°. Line a muffin tin with muffin papers. 2) Combine flour, 1 cup caster sugar, baking powder and salt in a mixing bowl. 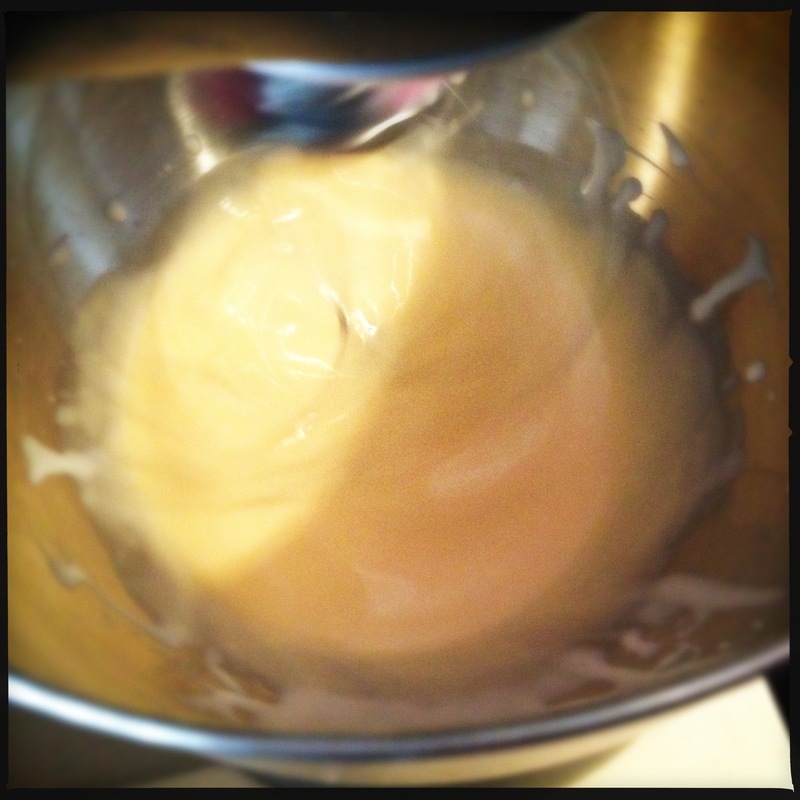 Whisk together eggs, cream, and vanilla. Slowly add the flour mixture and melted butter, stirring until just combined. Carefully fold through the strawberries. Set aside. 3) Combine the ingredients for the topping, and work them to create a crumble texture. 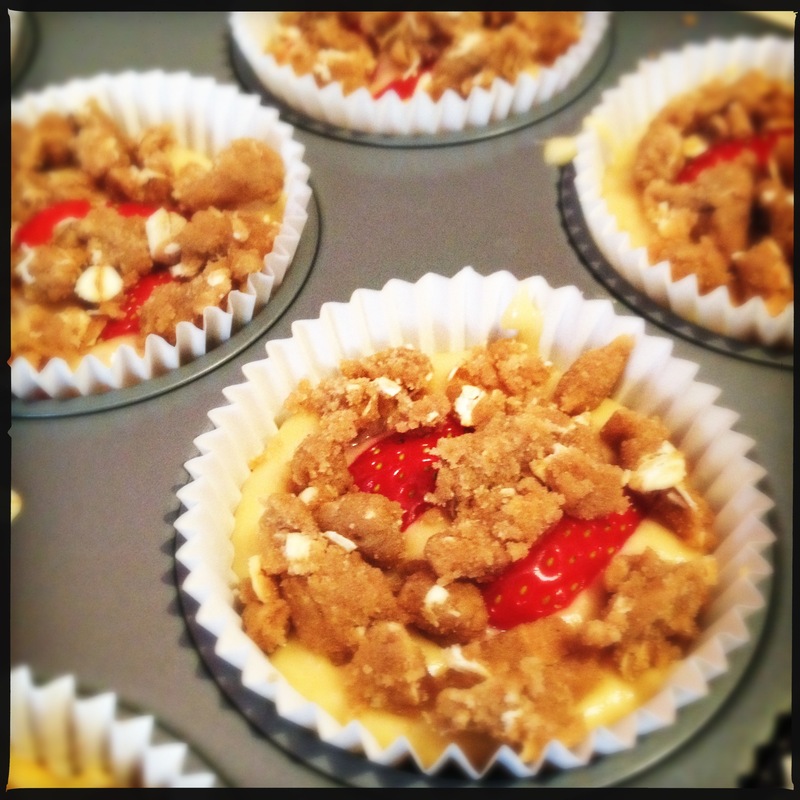 4) Fill the papers 2/3 full, then sprinkle with a generous amount of crumble. And then that day came that we were all simultaneously expecting and dreading. Winter is upon us. The cold, the rain, the frosts. Gone are Perth’s beautiful long summer nights, and we welcome the excuse to bundle up and hibernate. Bears have the right idea, with their carb loading and epic nap schedule. 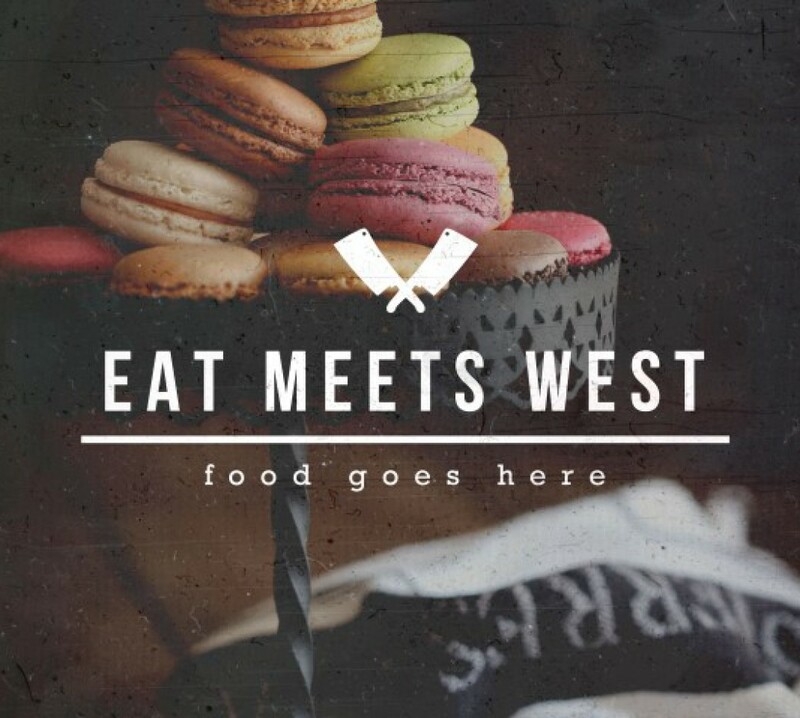 Dinners are turning from grilled meats and fresh salads, to slow cooked delights heartier feasts. Stews, roasts, casseroles and soups are all the order of the season and the season’s vegetables are the best place to showcase winter’s flavours. My favourite corner of the earth at the moment is the Subiaco Farmers Markets, held every Saturday morning from 8am until noon. Fruit, vegetables, dairy, meat, pastries… Basically, if you’re into food (and real food), you needn’t set foot in Coles or Woolworths again. I’m sure I don’t need to tell how that that’s a good thing. Everything is local, fresh and good. Oh, and did I mention cheap? I couldn’t resist all the beautiful winter vegetables that were starting to appear in the stalls. 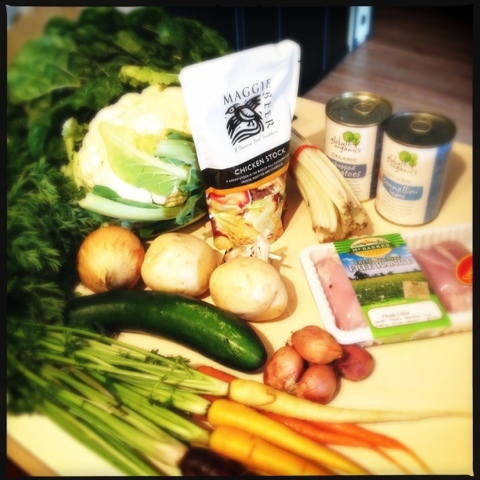 Organic tinned vegetables stood in for the things I couldn’t buy; Maggie Beer’s chicken stock actually contains chicken. I make a point of saying this, because many stocks don’t contain the things you’d think they would. All of these beautiful ingredients were going to combine into the perfect winter soup, filling, nutritious and not overly liquidy because I can’t be trusted not to spill it. 1) Over medium to high heat, warm olive oil in a large heavy-based saucepan. Add onion, carrot and cook for 10 minutes, softening. 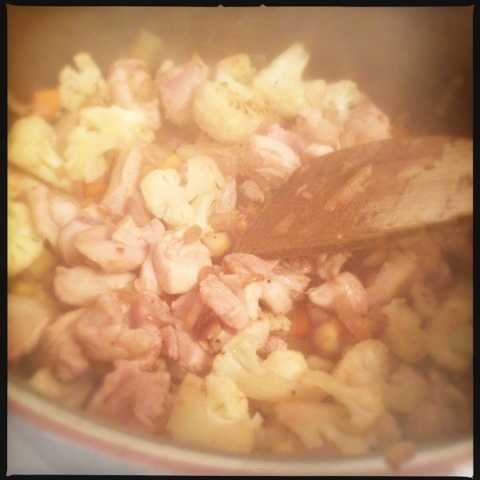 Throw in chorizo, chicken and garlic and cook, stirring, for 5 minutes or until chicken changes colour. 2) Add tomato and stock to the mix. Season with salt and pepper to taste Bring to the boil then reduce to medium. Cover and simmer for 10 minutes. 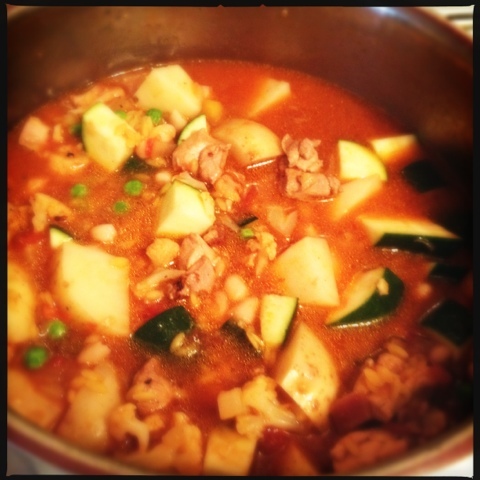 3) Add the pasta, zucchini beans peas. Increase the temperature to medium-high and cook, covered, for 10-12 minutes. 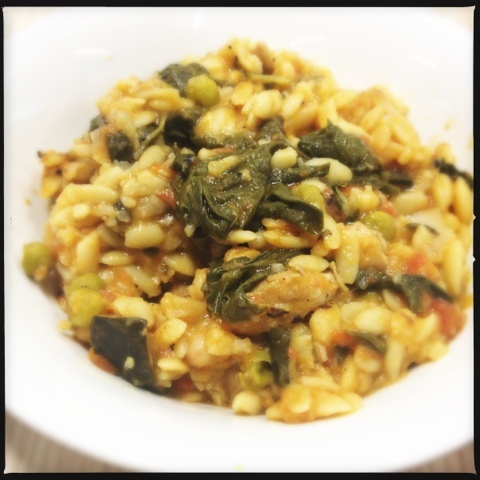 4) Remove from heat and add the spinach, basil and remaining olive oil. Serve with grated parmesan and a good crusty sourdough.